Let the show begin, Golden Knights! 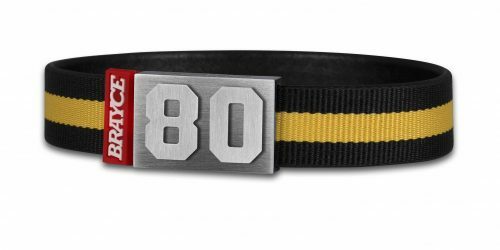 The absolutely high-quality designed and stylish bracelet with the logo of the Golden Knights is a real eye-catcher: The strap made out of super comfortable SuperSoft Silicone ensures the highest wearing comfort and a unique look. 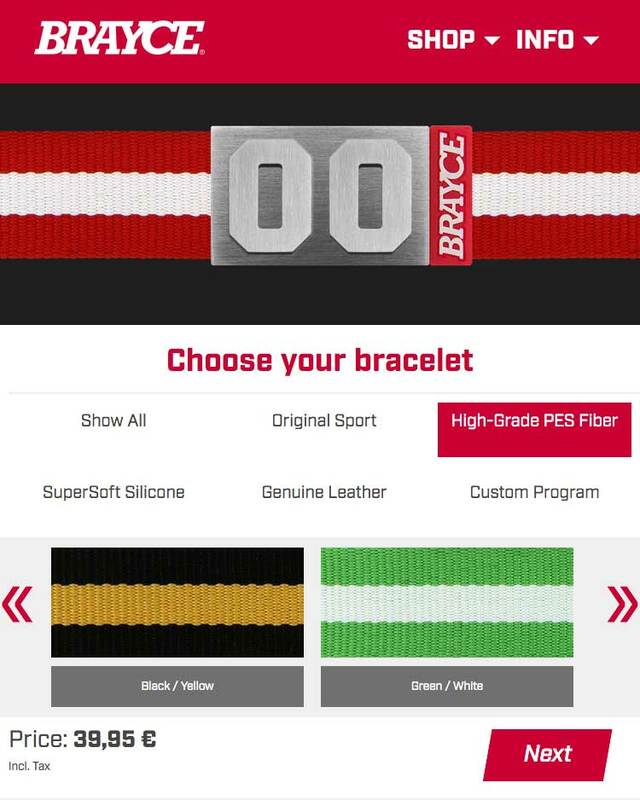 The material is flexible sothat it really gets through every game situation with you! 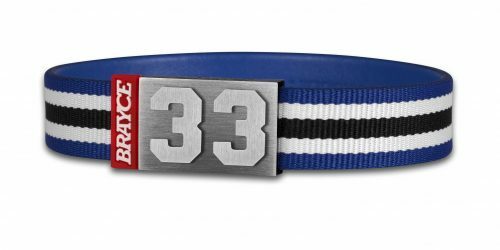 The original MagAttrac® closure even goes one better: It is made of robust 316L stainless steel, keeps invisible thanks to the ingenious magnetic closure and is also provided with your individual player! 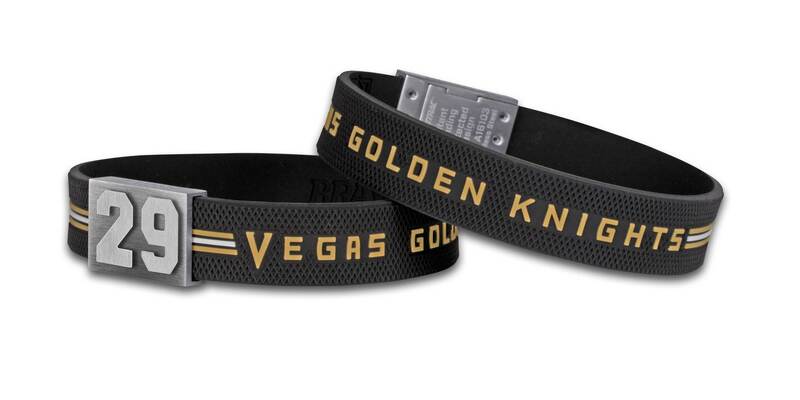 Go Vegas and customize your BRAYCE® Vegas Golden Knights bracelet! 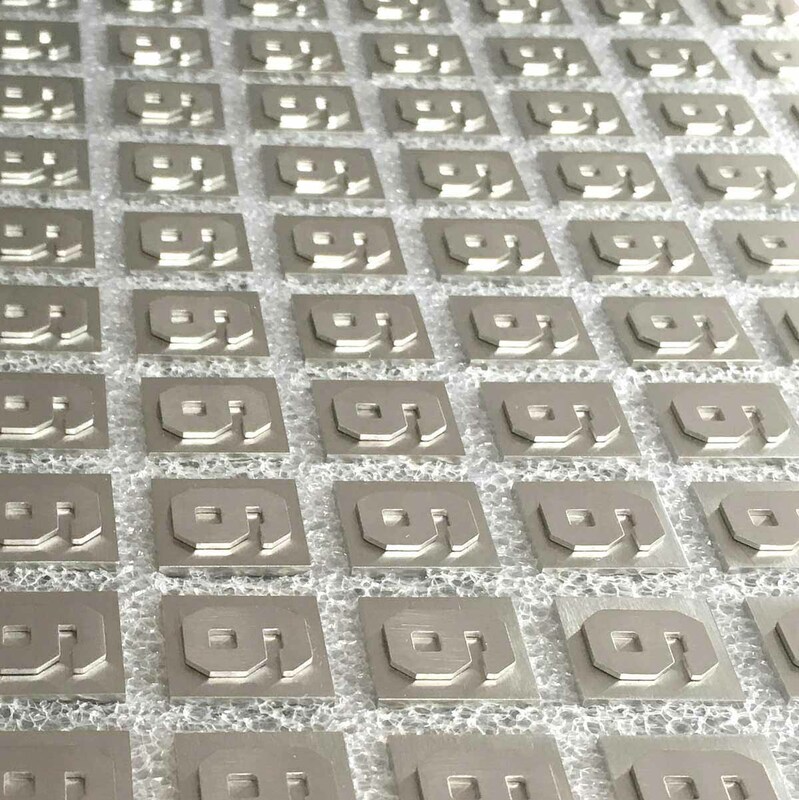 Remember October 6, 2017? It was the birth of hockey in Sin City, the Vegas Golden Knights have begun the conquest of the Entertainment Capital of the World. And the 2-1 debut victory over the Dallas Stars showed early in the young team’s history that something big is slumbering in the league newcomer. The West Coast side impressively demonstrated their potential during the season, as the Gold Knights made it through to the Stanley Cup finals. 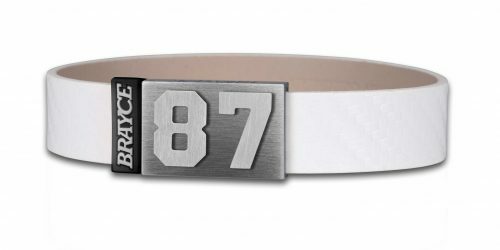 That’s why we at BRAYCE® immediately developed the Vegas Golden Knights bracelet to express the love for the NHL’s new star team. 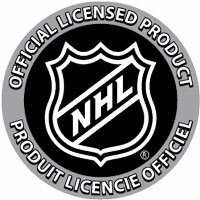 Before the start of the season, the expert press agreed that the newcomer from Vegas would be one of the weakest teams in the league for the first season. 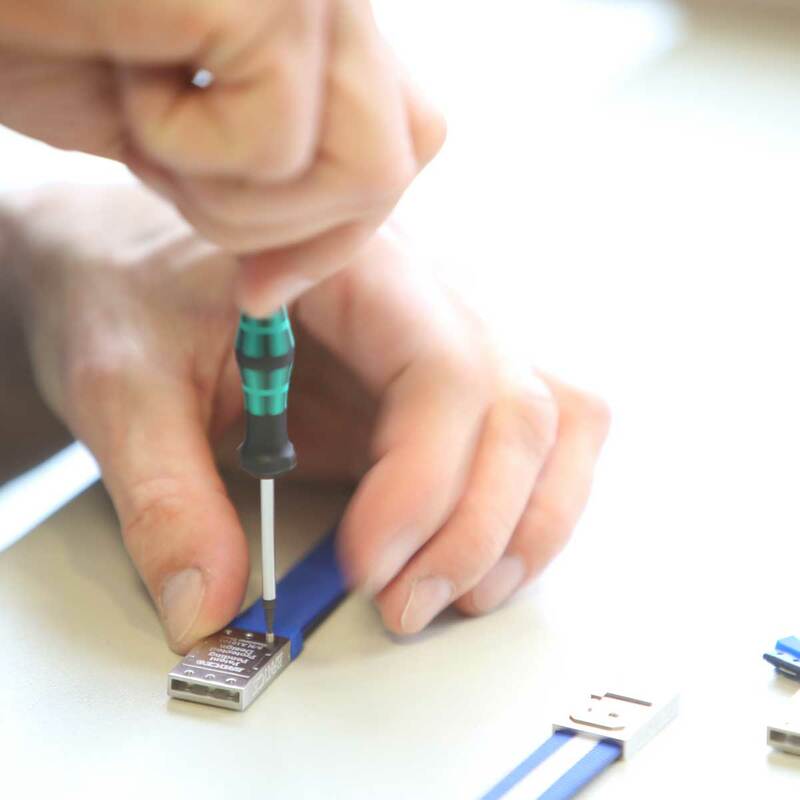 The basis of this – retrospectively daring – forecast was the experience of the experts who took a closer look at the four major leagues NHL, NBA, NFL and MLB. 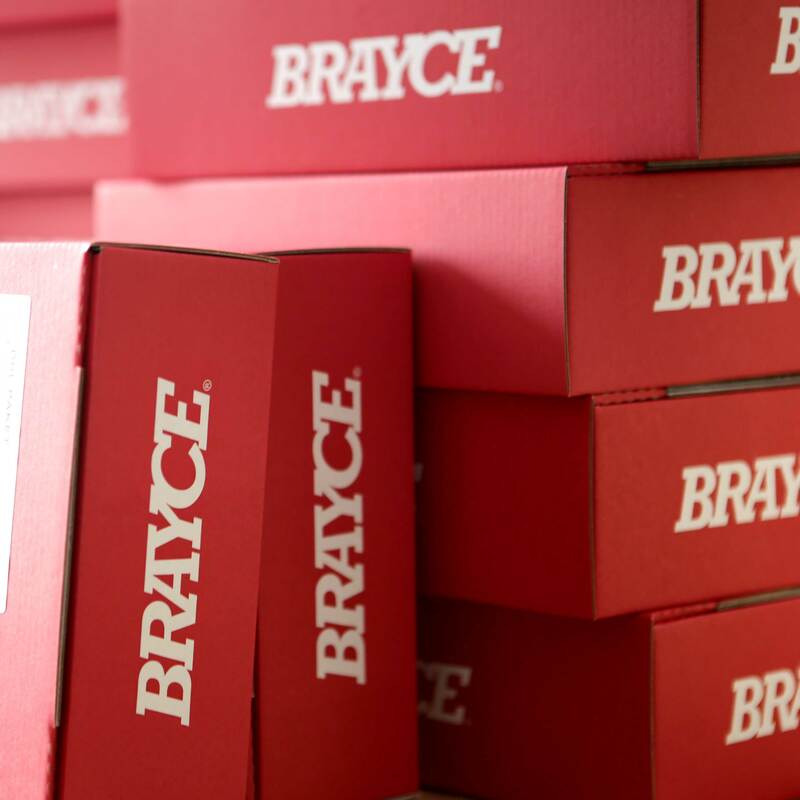 It always took several years for a new team to gain a foothold in sport. But the expansion team from Las Vegas proved all experts wrong and had a record-breaking debut season. 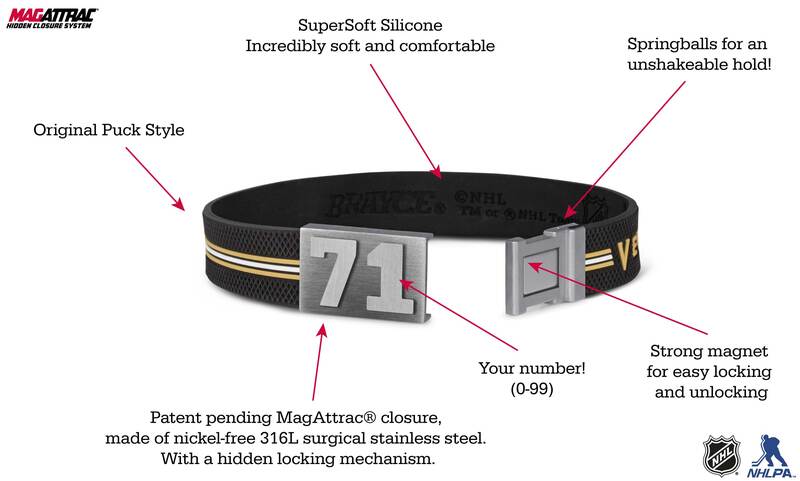 Your Vegas Golden Knights bracelet, which you can refine with the number of your favourite player or your own player number, is also record-breakingly stylish. Are you a fan of Goalie Marc-Andre Leury #29 or the Swedish giant William Karlsson #71? 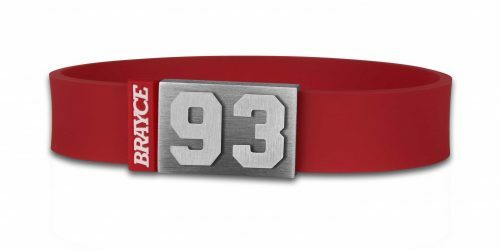 Then refine your Vegas Golden Knights bracelet with exactly this jersey number! 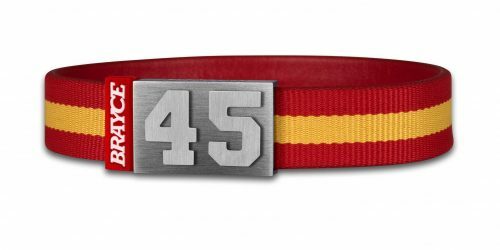 The material of the patented magnetic closure and the durable tape made of SuperSoft Silicone with puck haptics is of such high quality that you can express your connection to your team and your player number 24/7 and 365 days a year. 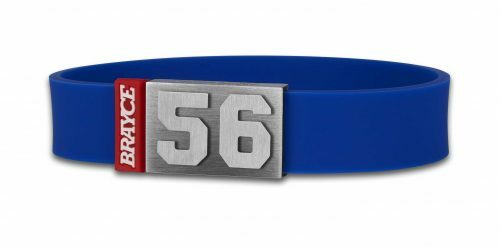 Order your BRAYCE® jersey bracelet!